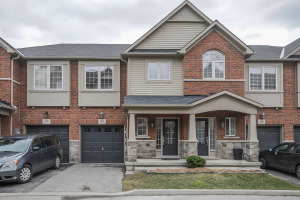 Highly Upgraded Townhouse W/Unobstructed Lake Views & Less Than 5 Min Walk To Beach. Den On Main Floor W/Door To Garage. 2nd Floor Features An Open-Concept Floor Plan, Hardwood Floors In Dining And Family Room, Accent Wood Wall Behind Fireplace, Kitchen W/Modern Backsplash. Laundry Conveniently Located On Bedroom Level. Master Suite/W Large Walk-In Closet, Bright 2nd Bdrm, Full Bath & Office. 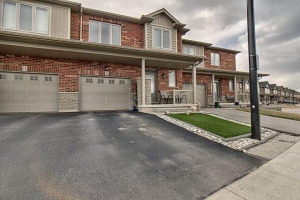 Minutes To Qew, Go Station, Scenic Trails, Schools And Amenities.